You are here: Home / Latest news / News / A first time for everything! 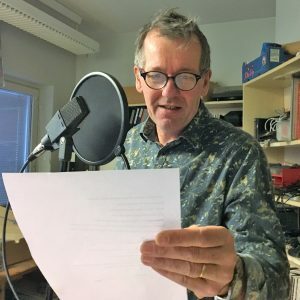 This was the first time I have been asked to make a recording in Swedish and Finnish. The recording was a commercial for Vaasa cult band Gubbrockarna’s upcoming Christmas show. The recording was made at Radio Vaasa and can either be heard on their station or by clicking this link. http://www.talkingtexts.com/wp-content/uploads/2018/11/IMG_7734.jpg 2705 2705 Paul Wilkinson http://www.talkingtexts.com/wp-content/uploads/2017/09/high-res-PWClogo-283x100.png Paul Wilkinson2018-11-08 09:23:362018-11-08 09:23:36A first time for everything!